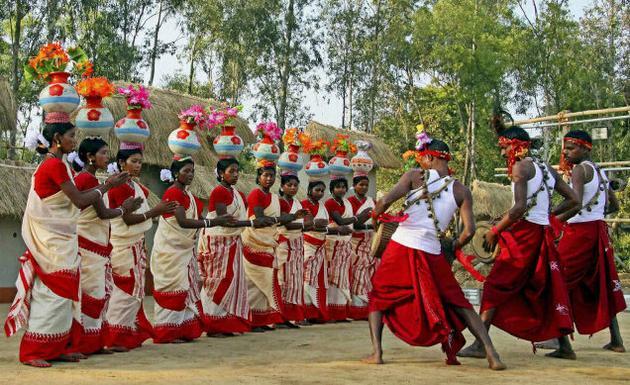 In the year 1922, Rabindranath Tagore established Sriniketan – the rural center for folk culture and cultivation of rural activities, near Santiniketan. Sriniketan Utsav or Magh Mela along with an exhibition was formally started on 23rd Magh, 1328 of Bengali Calendar (6th February 1922). To mark the foundation day, a fair is organized every year on 23- 25 Magh (6-8 February) at Sriniketan. Fair is based on agricultural products grown in a scientific way, equipment as well as the rural handicrafts. Functions of folk culture are the other attractions of Sriniketan Utsav.